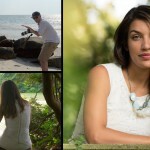 On this short video photographer Tony Northrup and his wife Chelsea get back to the basics of birds stills shooting and give some useful tips for those who are just starting. We have been shooting birds for quite a few years and it can be an amazing experience, however doing this effectively requires skill and experience and some of the tips the Northrup’s give in this video can help with that. Use fast shutter speed – 1/2000 for slower birds on the flight – 1/4000 for fast ones (you will need to raise your ISO quite a bit. 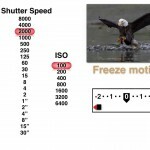 Use AF-C focusing mode for shooting moving birds. Focus to a point where the bird might be and than it will be easier for you to shoot. Start by practising on slower birds and after you get the hang of it move to faster harder to shoot birds. 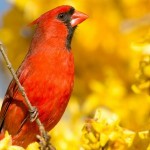 Understand your subject – read a bit on the type of the birds you are shooting – don’t get too close and scare it away. 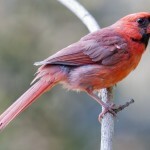 Find out what the right time in the day to shoot your bird. Be patient – this is the most important point – shooting birds can take many hours – so be comfortable and wait and don’t get discouraged if you get home without any good shots – it happens even to the pros. Try shooting with two eyes open – one on the horizon and one in the viewfinder – it isn’t easy – but if you do it right – it can help. On one thing we actually tend to disagree with the Northrop’s – whenever possible we prefer prime lenses (the Canon 400mm f/5.6 – although quite old by today’s standards is still a fantastic lens and much smaller and lighter than the current gen 150-600mm zoom lenses, and the Nikon 300mm f/4 PF lens is even smaller and can be extended very nicely with 1.4x and even 1.7x teleconverters to cover a nice range and still keep very good focusing and IQ). Smaller primes are much easier to carry and at the end of the day you will feel this on your back and hands – moving with light gear will give you much more chances to capture those birds and the whole experience will be more fun than back breaking. 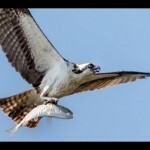 You can see a few other of Northrup’s related videos here on LensVid including How to Photograph Song Birds, How to Photograph Birds in Flight and Bird and Wildlife Photography Gear Guide and Tips and “How to Photograph Birds – an Extended Guide“. You can check out many more helpful photography tips on our Photography tips section here on LensVid. If you liked Tony and Chelsea Northrup you can check out more of their videos here on LensVid.